Why can’t I feed my laying flock just grain? It is safe to feed just grain (e.g. whole wheat/barley) to chickens, however a laying bird fed just grains will have severely depressed egg production. This is because grains on their own are too low in important nutrients for egg laying such as protein and calcium. The grains needs to be balanced up with other ingredients to make them suitable for supporting egg production. There is grain in fully formulated chicken feed such as NRM Peck’n’Lay and NRM Chook Tucker, however high quality protein sources are also added into the formulation on top of the grains to increase the total protein level to ensure chickens are supplied enough protein to support optimum egg production. Eggs are a food source for us that are high in protein, so it’s not surprising that chickens must be fed a high protein diet in order to support their production. Minerals such as calcium and phosphorus, along with a wide range of other micro minerals, macro minerals and vitamins are also added into the layer feeds to help satisfy the demanding requirements of egg production. Grains alone do not contain a high enough concentration of the micronutrients required for egg production. Did you know that eggs contain every vitamin except for vitamin C! They are nutrient packed, so no wonder we have to feed the animals that produce them a well-balanced diet. A little bit of whole grain (e.g. wheat, barley) is fine for chickens, however, it’s important that a majority of their diet is coming from a fully formulated laying feed. Similarly to laying chickens, the nutrient requirements of growing chicks/pullets will not be met by grain alone either. Can I feed a layers feed to a non-laying chicken? It is best not to feed a layers feed (e.g. NRM Peck’n’Lay or NRM Chook Tucker) to a non-laying chicken. The reason for this is the high level of calcium found in layers feed. While perfect for birds regularly laying eggs and absolutely essential for supporting good quality egg shells (which are made of calcium carbonate), it is not a good idea to feed a high level of calcium to a chicken that doesn’t actually require it for eggshell production. Feeding an elevated level of calcium for an extended period of time to a chicken that doesn’t require it can cause kidney issues. This is why we have special chick grower and pullet grower options in our range which have a lowered calcium level for young birds that aren’t quite producing eggs yet. These feed options still have some calcium in them to support bone development in growing chicks, but not at the same level as a layer feed. Ideally young birds should be kept separate from the laying flock until at the point of lay so they do not eat layer pellets. If some are eaten accidentally on a random occasion it is not a major issue. For mature chickens that aren’t laying eggs a good feed option is the NRM Pullet Grower Pellets. While perfect for pullets (as per yesterday’s daily question) this product also doubles as a great option for mature chickens that aren’t laying and also a great option for chickens going through a moulting period. What is a ‘pullet grower’ feed? A pullet is classed as a chicken that is older than 6 weeks of age but hasn’t actually started laying eggs yet. Essentially it is the in-between stage between chick and chicken (think, teenage chicken). But why make the change to a pullet feed, can’t they just stay on the Chick feed for longer? The nutritional profile of the NRM Pullet Grower Pellets are better suited to pullets compared to the Chick Starter Crumble and will, therefore, more efficiently support the growth of pullets and prevent them from becoming over-fat. An over-fat pullet is best avoided as they are more at risk of having issues once they start laying such as prolapse problems. It is not overly dangerous to keep pullets on a chick feed as they get older, but it is best practice to introduce a pullet grower feed to minimise the risk of over-fat birds. What animals can I feed NRM MultiFeed Nuts to? NRM Multifeed Nuts can be fed to cattle, sheep, goats and deer. These are the only animals we can recommend the NRM MultiFeed Nuts for. The MultiFeed Nut has been designed specifically to be a multi-purpose option for a group of animals called ruminants (animals with 4 stomachs which include cattle, sheep, goats and deer). What are the differences between the 2 NRM pig feeds? 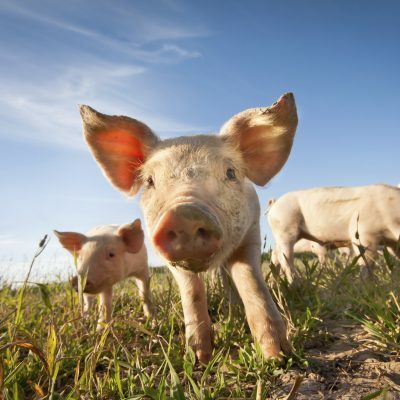 We have two pig feeds in our range – Little Pig Tucker Pellets and Big Pig Nuts. The main difference between the two is their protein level. The Little Pig Tucker Pellets are 17% crude protein whereas the Big Pig Nuts are 14% crude protein. But why this difference in protein level? The Little Pig Tucker Pellets are designed for young pigs that are growing rapidly, developing lots of muscle tissue and growing their skeleton – for this reason, they need a diet higher in protein to support this growth. Little Pig Tucker Pellets can be introduced to piglets while they are still nursing from their mother (often referred to as ‘creep feeding’) and then fed through until they are nearing towards their mature weight (usually at around 15 weeks of age however this age of maturity will differ between breeds). Once close to their mature weight and their growth has started to slow down, pigs no longer need the higher protein feed and can be switched over to the lower protein Big Pig Nuts. The obvious other difference between the 2 products is the size of the pellets, with the Little Pig Tucker Pellets being 6mm in diameter designed for smaller mouths, and the Big Pig Nuts 10mm in diameter. The NRM Little Pig Tucker Pellets also has another application for use in lactating sows. Lactating is a physiological state that requires a higher protein level in the diet so transferring pigs over to the Little Pig Tucker Pellets in late pregnancy and feeding throughout their lactation is a great way to help support milk production and body weight. Both NRM pig products have added vitamins and minerals to support health and immunity in pigs. 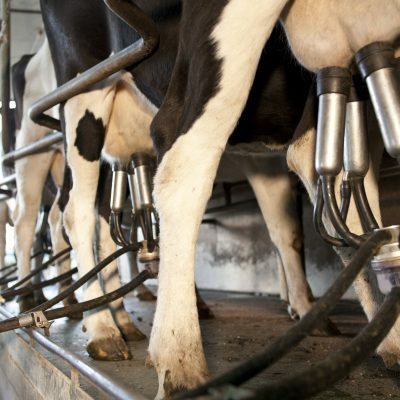 How long does animal feed last before it ‘goes off’? Our policy is ‘fresh is best’ and for this reason the shelf life for our products that we recommend is 3 months from the date of manufacture for textured feed (e.g. textured equine feeds, mash, muesli style feeds, steam-flaked grain and crushed grain) and 4 months from the date of manufacture for pelleted feed (e.g. pellets or nuts). Some feed companies may have a policy that suggests their feed has a longer shelf life than this time period, however, we believe that for the feed to be the best quality possible when it is consumed by an animal, it needs to be as fresh as possible. A feeds date of manufacture (DOM) is inkjet sprayed onto the back of the bag along with the batch number. Textured feed has a shorter shelf life compared to pelleted feeds as molassed textured feed can dry out over time, and in general textured feed is more appealing to migrating pests such as mite, which can be a problem during warmer weather. In a nutshell textured feed quality can deteriorate more rapidly compared to pelleted feeds. After the recommended shelf life of a product has passed, stock feeds are generally still ‘safe to feed’ to animals (provided they are not mouldy), however, product quality is no longer guaranteed past this point. The mineral, protein and energy value of feed does not deteriorate over time provided product is stored well, but vitamins do deplete over time. Storage is a huge element in how well a product ages as it sits on the shelf of a store. If the product is kept away from moisture, sunlight, pest contamination and high temperatures the quality will be retained for longer than if it’s stored in poor conditions. Are NRM calf feeds ok for lambs to eat? No, it is better to feed lambs a lamb specific feed. The main reason for this is because lambs have a lower requirement for copper compared to calves so the level of copper in calf hard feed and/or calf milk replacer can put lambs at risk of copper toxicity. Lamb milk replacer has less lactose in it compared to calf milk replacer so if lambs are fed a calf milk replacer they can be at risk of getting bloat issues due to the higher lactose level. Bovatec, the coccidiostat used in NRM calf hard feeds and calf milk replacers, is not registered for use in lambs in New Zealand. While consuming a coccidiostat will not cause adverse animal health issues for lambs (as they are not a coccidiostat sensitive animal like horses, alpaca and dogs) it is still classed an ‘off label’ use and we cannot recommend off label use of our products without vet authorisation. The occasional bit of stolen calf feed is not going to cause much harm to lambs– but long term use should be avoided. What is a ‘coccidiostat’ and why can it be dangerous to feed to some animals? A coccidiostat is an additive that is included in some animal feeds to aid in the prevention of coccidiosis. Coccidiosis is a disease caused by microscopic parasites which invade the intestinal tract of animals and causes animal health issues and even death in severe cases. The classic clinical sign of coccidiosis is bloody faeces and this is because the parasite lays eggs in the animal’s intestinal wall and when the eggs hatch out they rupture the intestinal lining (ouch!). Coccidiosis can affect many species of animals including but not restricted to cattle, chickens and rabbits. 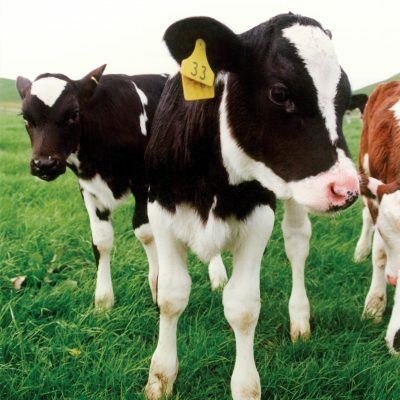 Younger animals are much more at risk of getting coccidiosis compared to mature animals due to their immature immune system that is still developing resistance to the parasite. As animals get older they become more able to fight off the coccidiosis parasite so generally a coccidiostat is only included in feeds for young animals. 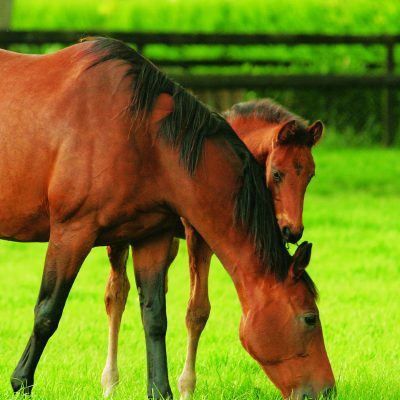 A coccidiostat helps to prevent coccidiosis by minimising the activity of one stage of the parasites life cycle. The coccidiostat must be delivered to the target animals every day and at the correct dosage rate to ensure adequate cover. Feeds in our range that include a coccidiostat include; NRM Chick Starter Crumbles, NRM Rabbit Pellets and also all of the pelleted and muesli style NRM calf feeds. What is good for one species of animal isn’t necessity good for all, and coccidostats are a good example of this. While the coccidiostats are helpful to include in feeds for young chicks, rabbits and calves, some animals such as horses, alpaca, llama and dogs can get sick if they eat a feed containing a coccidiostat. This is why we have to be careful when recommending feeds ‘off-label’ to animals that the feeds weren’t specifically designed for. Farmers also need to be careful when storing feeds that contain a coccidiostat to ensure that sensitive animals are not at risk of accidentally consuming them. Can I feed NRM Chick Starter Crumble to any other birds (e.g. game birds)? NRM Chick Starter Crumble contains an additive called a coccidiostat, which aids in the prevention of coccidiosis in young chickens (a nasty parasitic infection of the gut which is best avoided), however this coccidiostat is not registered for use in other birds, so we can therefore not recommend its use for them. NRM Chick Starter Crumble can also not be feed to chickens in lay. Eggs must be discarded from a chicken that has been fed a feed containing a coccidiostat (there is a 10-day with-holding period). This is why it’s a good idea to transfer chicks over to a Pullet Grower Feed (which doesn’t contain a coccidiostat) at around 6-8 weeks of age as this means as they approach point of lay, which occurs at about 18-20 weeks of age, their eggs will be free from coccidiostat residue and will be able to be collected and eaten straight away without waiting out a withholding period. If we can’t recommend feeding NRM Chick Starter Crumble to gamebird chicks, what feed can we recommend for them? For gamebird chicks the best feed to recommend is NRM Meatbird Crumble. This can be fed to a wide range of Gamebirds young including turkeys, ducks, pheasants, peafowl, guineafowl, and quail. The feed can be offered to chicks of these species from day 1 of age right through to maturity. What is the FeedSafeNZ logo and why is it beneficial? FeedSafeNZ is a programme designed to enhance the quality assurance of New Zealand-produced stockfeed and to provide increased risk mitigation in the manufacturing and use of animal feeds. To become FeedSafeNZ accredited and gain the use of the ‘FeedsafeNZ’ logo, a feed manufacturer must demonstrate that they are meeting minimum standards in relation to a wide variety of areas of feed manufacturing including things such as mill cleaning and sanitation, record keeping, handling complaints, control of labelling and packaging materials, production control and plant design (just to name a few, the list goes on!). These standards are checked in an annual audit conducted by a third party auditor. All of the mills we use to produce our animal feeds are FeedSafeNZ accredited. Our customers can have complete confidence in our products as they know that when they are purchasing a feed with the FeedSafeNZ logo on it, it has been manufactured according to NZ Feed Manufacturing Association (NZFMA) standards and is, therefore, a top quality feed safe for feeding to their animals.